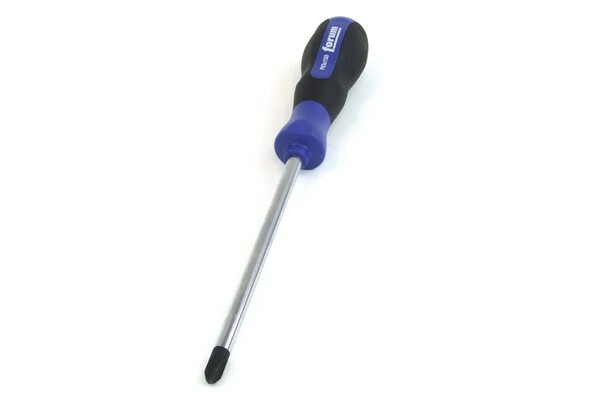 This screwdriver is a high-quality brand-name product. The grip is made from extremely sturdy plastic and has a hard rubber inlay. It is therefore extremely rugged yet comfortable to hold. The grip is ergonomically shaped and perfectly adapts to the hand surface. The lower side of the handle is equipped with a roll-off protection to prevent slipping. The balde is forged from vanadium steel which is extremely hard and long-lived. The metal surface is chrome-plated to prevent it from corrosion and also contributing to the looks of the tool! The tip of the screwdriver was additionally hardened to minimize war and deformation, ensuring a perfect fit to the screw every time the screwdriver is applied!